° Additional Info: No pets allowed, unfurnished, W/D connections incl., available 5/1, 1 covered parking space(s), 1 fireplace(s), Dallas ISD. ° Contemporary and well maintained third floor unit ready to move in. This home features a light and bright open floor plan with recent paint, vaulted ceilings, granite in the kitchen, balcony with partial downtown view, covered parking space. Gorgeous pool on-site, and a fitness facility! ° CORNER LOT, NO HOA! Stone & Brick Townhome in Uptown Oaklawn. 3 bedroom, 3.1 bath, 2 Car Garage. Additional guest parking at driveway & Gilbert. Move-in Ready! Open concept, wood floors, marble & granite counter-tops, crown molding. Built-ins, stone fireplace, 10' ceilings, dramatic windows bring natural lighting. Bay windows at dining & master. Kitchen with walk-in pantry overlooks living area. Master with sitting area, large walk-in closet, dual sinks, jetted tub & separate shower. Loft perfect for library, study or workout area. First level bedroom has private bath & enclosed patio. 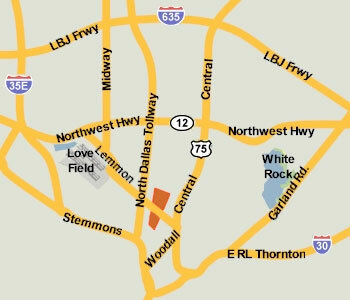 Friendly neighborhood near restaurants, Starbucks, Dog parks, Highland Park, Turtle Creek Village, Whole, Foods, Equinox. ° Additional Info: Pets allowed limit 2, unfurnished, available 6/1, 2 covered parking space(s), 1 fireplace(s), Dallas ISD.